For Paella pans up to 26 - 80 cm. 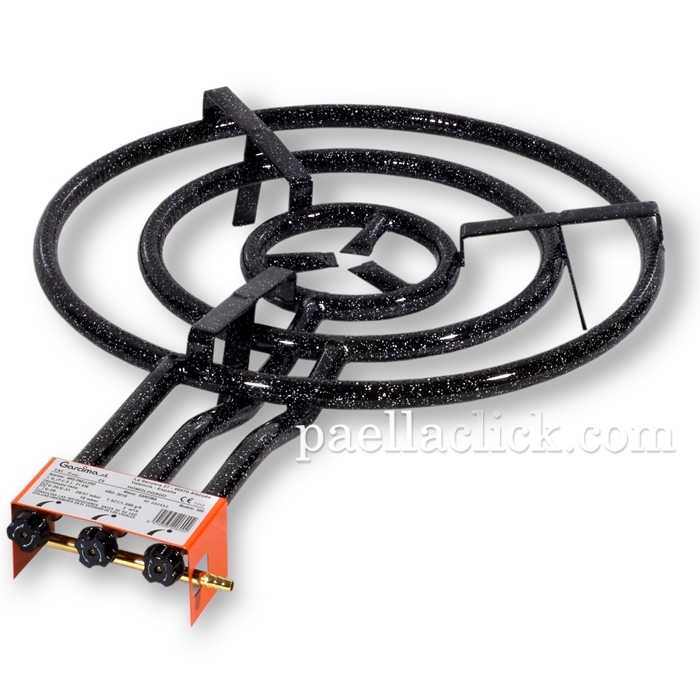 The gas burner 600 model has three independent rings of fire. 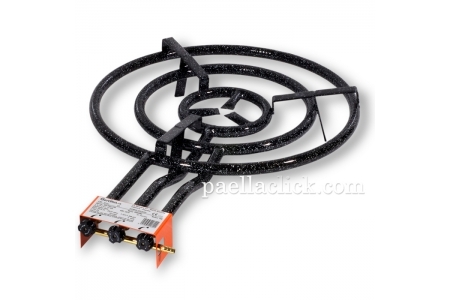 It allows you cooking with paella pans from 2 to 40 servings. This sturdy product from the manufacturing brand Garcima has widely international recognition. It is covered by a vitrified enamelled layer. We suggest the reinforced 3-legs set as stand up to cook with maximum comfort and security.